I just finished reading the book In-Between by Jennie B. Jones. In the book, the main character is a teenage girl who is a foster child. She goes to live with her new foster family and on the first day of school she sits in a bathroom stall to eat the packed lunch her foster mother has prepared for her. Inside that lunch, is a little note that tells her to have a great day. Life as a mom can get really hetic, especially in the morning. Especially if you have more than one kiddo to get ready for the day in addition to packing lunches, finding backpacks, and sometimes searching for a misplaced shoe. I'm so guilty of this. Sometimes, as I'm dropping kids off to school I forget to say "Have a great day, or even I love you." It's hard and it's so simple. But it means so much. Years ago, our pastor's wife told me how she would write notes on napkins in her child's lunch. I did the same. My kids complained, but then if I forgot they'd come home from school and let me know they didn't get their note. Even though they didn't want to admit it, they look forward to it. It's still staying connected and giving your child some extra encouragement that they may need to carry on the rest of the day. I think we all could use some of that. Not just in school, but in the work day as well. We've all been there haven't we? There are just those days that drag or something happens that you can't wait for the day to end or wonder if anything worse could happen before the clock hits the appointed time to go home. A few little words of encouragement can go a long ways to make it through the afternoon. What better way to slip some hope into someone's day than a little note card with a handwritten "Have a great rest of the day." or "Looking forward to seeing you when you get home." to boost their moral. 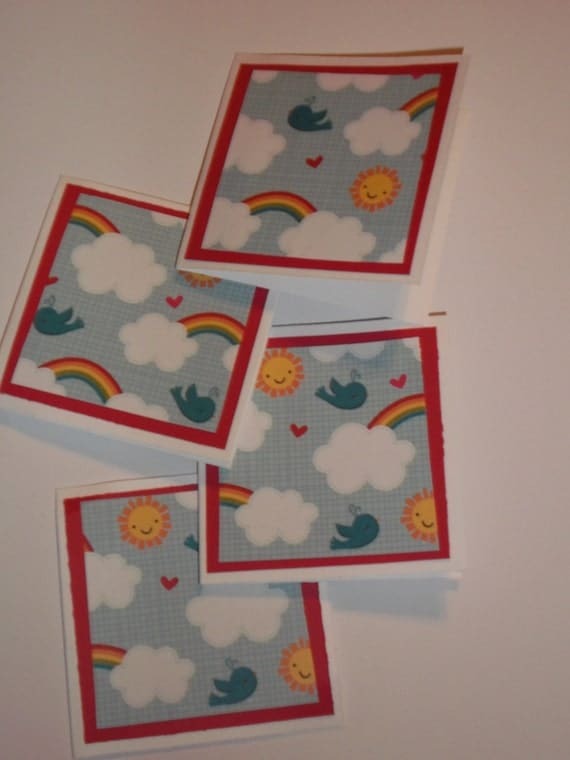 These bright and cheery little note cards are available in my etsy shop now. You can check out all the designs here, and more will continued to come. They're 3 x 3 folded, and are the perfect size for slipping into a lunch. 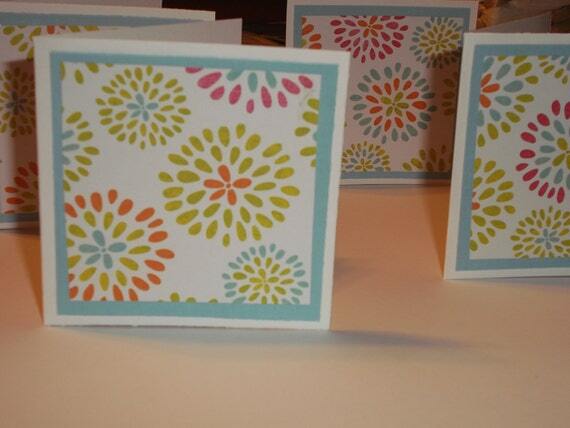 They're uplifting designs make them a keeper to hold onto throughout the day on a desk or in a locker. What notes of encouragement do you tend to write to your loved ones to let them know your thinking of them throughout the day?